Late last month, Quebec City-based Sabotage Studio released its first game, The Messenger. A retro-styled action platformer for PC and Switch, the game won loads of critical acclaim. Destructoid proclaimed it "The Switch's best indie yet." Our sister site USgamer called it "an exquisitely designed platformer full of wonderful surprises" and "the best retro tribute since Shovel Knight." Both of those reviews carried perfect scores. In all, the Switch version of the game is sitting at an 87 average on Metacritic. Speaking with GamesIndustry.biz earlier this week, Sabotage co-founder Martin Brouard was clearly happy with the reviews, but slightly less so with the game's actual sales. "Seeing how the critical reception is, I was expecting something a little higher," he admitted. "We are just under 50,000 units on all platforms after a little more than a week, which is really a good start. But if we compare ourselves to some of the other indie hits recently, it might be a little under them." That said, Brouard is confident the sales will pick up as more people play the game and word of mouth spreads. Sabotage has seen lots of people adding the game to their wishlists on Steam, so he's confident there's a significant audience of interested people they can convert to customers in the future. One possible reason for the discrepancy between the game's critical and commercial reception may be its appearance. 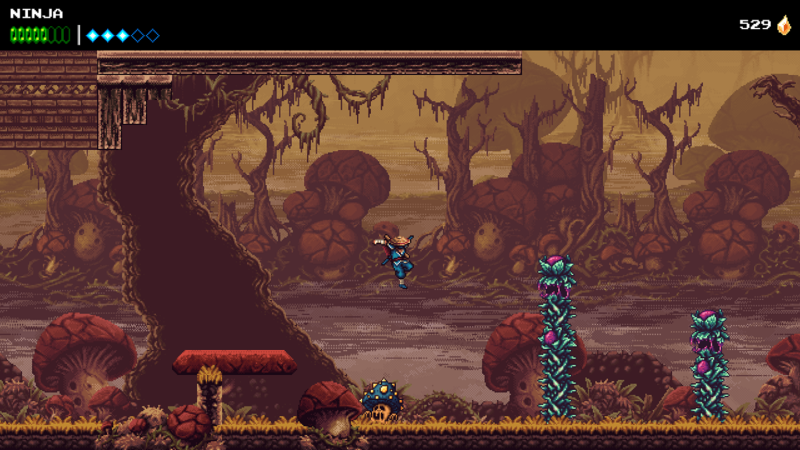 At first glance, The Messenger may look like another in a long line of 2D pixel art indie action platformers. Brouard admitted that people may look at a still picture and dismiss The Messenger as "another retro nostalgia grab." But if they see any of the video circulating around the game, they'll likely see its major hook: instant switching between two game worlds, one with an NES-inspired 8-bit style and the other sporting a higher fidelity 16-bit SNES aesthetic. It's a striking effect, and exactly the sort of thing Sabotage wasn't sure it wanted to spoil for people before they played the game. "It took us a while to decide to actually reveal some of those things we thought would be better kept as a surprise, like the switch to 16-bit [visuals]"
"It took us a while to decide to actually reveal some of those things we thought would be better kept as a surprise, like the switch to 16-bit [visuals]," Brouard said. "But we had to do it, because if we didn't, we would drowned in that sea [of 2D retro action games] before people actually started to notice... It brings them to actually try the game, and that's the hardest part right now. We have a very solid team and a lot of experienced developers. The game is solid, but there are a lot of solid games nobody hears about." Sabotage showed off The Messenger in low key fashion at Montreal-based shows MIGS and MEGA late last year, and announced it properly in early January. The centerpiece of that reveal was a feature article on Polygon by Retronauts host Jeremy Parish that went live on January 4. Brouard said it remained featured on the site for a week thanks to a slow start to the gaming news year. That set them up nicely to show the game off at PAX South later in the month. "That was a lot of exposure for a game nobody had heard of before," he said. "The reactions were immediately very good. When people play games at PAX, they usually always say it's wonderful, it's great, it's perfect. I've done like 12 PAXes. People will never say bad things about your game at PAX, or very, very rarely. So it's hard to judge by the reaction of people there, but this time it felt a little different." 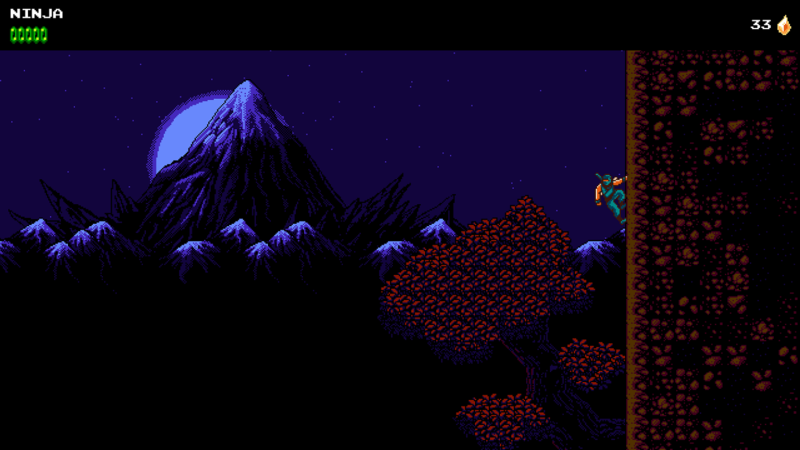 The Messenger's NES-style segments show a clear Ninja Gaiden influence. Brouard said he was seeing small YouTubers play The Messenger and leave, only to return later on with more prominent YouTuber friends who would play for hours, then leave and come back with still more people. Indie publisher Devolver Digital was also among those introduced to The Messenger at PAX South, and took an instant liking to the game. They began talking, and even though Brouard and Sabotage had already worked out a marketing and publishing plan to see The Messenger through to release, they signed on with Devolver. While Brouard said the outift basically executed on the same plan Sabotage had already come up with, Devolver provided additional support, produced better trailers, and greatly improved their social media presence. "The fact there's so much content to make it really feel like it's totally worth $20, which is what most people seem to think too"
However, not everything clicked so easily. The Messenger launched at a $20 price point, which was a decision Brouard said the team wrestled with for some time. It was always going to be between $15 and $20, but they went back and forth on it "many, many times." Eventually, they reasoned for the higher price point because they felt the game was worth it. "It's a game with its own sequel embedded in it," Brouard said, echoing a sentiment from yet another of The Messenger's reviews carrying a perfect score. "Once you've been playing for four hours, you'd think you're finishing the game but it switches to 16-bit, something more like a Metroidvania. So it's kind of its own sequel. Most people take between 12 and 20 hours to finish the game. So for us, the fact there's so much content to make it really feel like it's totally worth $20, which is what most people seem to think too. I don't think it's fair for us or the people who worked on the game to short-sell it." The game's release window was also an issue, as Sabotage didn't want to be vying for press attention in the wake of AAA blockbusters like Spider-Man and Red Dead Redemption 2. Originally, The Messenger had been slated to release a month earlier than it did, but development being what it is, more time was needed. The Messenger introduces its SNES-esque aesthetic some hours into the game. Even in the midst of that race to finish the game, there were additional issues that couldn't be ignored. A pre-release build of the game sent to journalists included a scene where the slightly obnoxious shopkeeper character asks, "Did you just assume my banter?" It's an attempted play on "Did you just assume my gender?" a question typically used as a transphobic joke. Someone pointed this out to Sabotage, and Brouard said the team quickly changed it before launch. That incident could conceivably have touched off a charged public argument that could have become the main story surrounding The Messenger's launch, but because of Sabotage's quick and decisive action, the line was barely a blip on the radar, largely ignored amidst a wave of glowing reviews. Brouard didn't have too much advice to give other devs on how to pre-empt those sort of debacles from unfolding around their own games, saying it can be a tricky situation to navigate. "For us, it was going to take two minutes to rewrite a line that's going to be much better. It wasn't a big problem to change it. It's not as if we're like, 'Our artistic integrity has been destroyed!' That's not it at all." Instead, the conversation around The Messenger is almost unrelentingly positive. "I receive emails and messages every day, sometimes long letters, about how people are touched by the game," Brouard said. "99.9% is positive, and the rest is just asking for us to add control re-binding." "And that's fair enough," he laughed. "I agree with that."